The accident has highlighted the need for tunnels and strategically important passes, tweeted Omar. Srinagar: The Jammu and Kashmir government announced a relief of Rs 5 lakhs to the families of the five deceased in the avalanche that occurred in Khardung La, Ladakh on Friday. Meanwhile, five people are still missing after the avalanche, stated news agency ANI. After offering condolence to the avalanche victims, Governor Satya Pal Malik announced the ex-gratia amount. Condolence messages were offered to the victims by National Conference leader Omar Abdullah and PDP president Mehbooba Mufti. The accident has highlighted the need for tunnels and strategically important passes, tweeted Omar. The snow avalanche buried the two trucks carrying passengers at Khardung La of Ladakh region in Jammu and Kashmir on Friday, officials said. 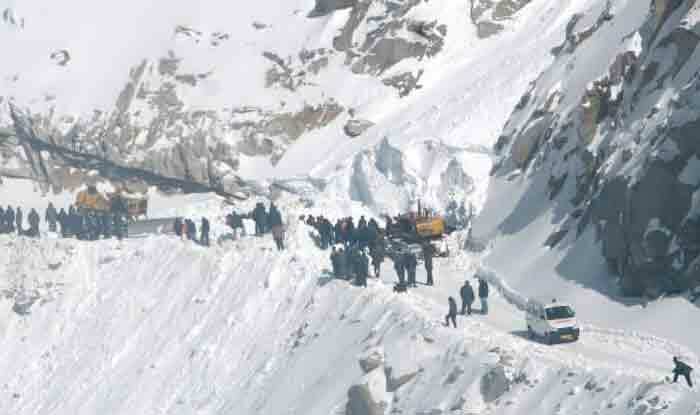 A defence spokesman had said that the two trucks, carrying 10 civilians, were buried 20 feet deep under debris, nearly 800 metres from Khardungla Top towards South Pullu. The trucks had apparently come under an avalanche at Khardungla pass, which is one of the highest motorable roads in the world at 17,500 feet, at 7.00 am. The rescue teams of the Army — Avalanche Panthers Teams — were moved from Siachen Base Camp and North Pullu by Army Aviation helicopters. The Army Aviation helicopters conducted Deep Search Radars to detect human beings through snow.